Looking for a USED ET36? Eastey Enterprises Inc. has become a strong and respected competitor in shrink packaging equipment sales in the United States. We are proud to make EASTEY Equipment in the USA. A great deal of the success of the EASTEY and the good reputation it enjoys, is attributed to it's employees, since a company is only as good as it's employees, most employees have been with EASTEY 10 to 22 years. 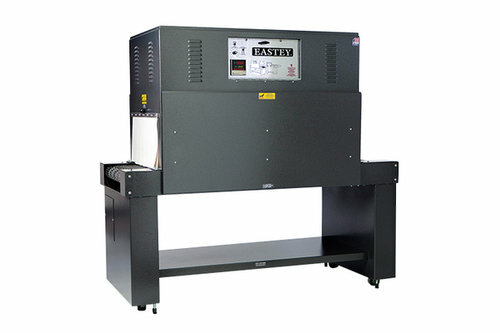 Today the company manufactures Shrink Packaging Equipment under the EASTEY name, private labels for many other companies and sells EASTEY and Weldotron replacement parts. EASTEY markets its products through a global network of dealers. These authorized dealers are responsible for installation, training and service of our equipment. At our manufacturing facility in Rogers, Minnesota we uphold the Midwestern pride in manufacturing that builds quality into every EASTEY machine, guaranteed. We maintain an extensive inventory of replacement parts and offer prompt technical support when needed. For more detailed information on EASTEY equipment, please contact us online or in person for the name of our nearest authorized dealer. Looking to Purchase a New EASTEY ET36?